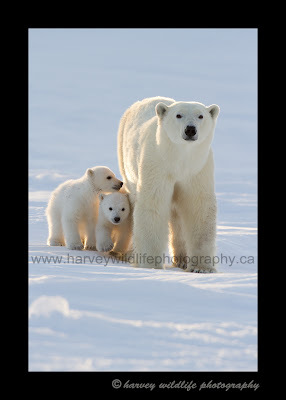 Harvey Wildlife Photography: Polar Bears Day One; Keeping the streak alive! Polar Bears Day One; Keeping the streak alive! Since February 19th the lodge has seen bears every day except for the first day. This has been the first time in four years that I have seen a polar bear on my first day here. This year is also heading for one of, if not the best polar bear years this lodge has had. This year they have seen five families so far including two triplet families for two days each.They have photographed the mom and twins that we saw today for 13 days in a row! I’m sure she will be heading for the Bay soon, but in the meantime, her and her kids have been great models. We got to the den at 10a.m. this morning and waited until 3p.m. until mom and cubs came out. They were in the earth den so were dirty, but the cubs were active and played a lot, walked a lot and we were able to photograph a lot of really interesting polar bear behaviours. The kids fought a lot, the mother enjoyed a snow bath, she stood up on her hind legs to check out a tree and she circled us twice. She came so close a few times that the guides had to honk the horns at her and drive the vans between her and the photographers to guide her away from us. All in all it was a very interesting day. I took over 4400 images today. That was the most images I have taken in a day here in any of the years that I have been coming. It is also the most different behaviours I have seen in one day. To put it in perspective, I normally average about 5000 total images per polar bear safari. 4400 images today in three hours! I will have my images up on my website when I get back. 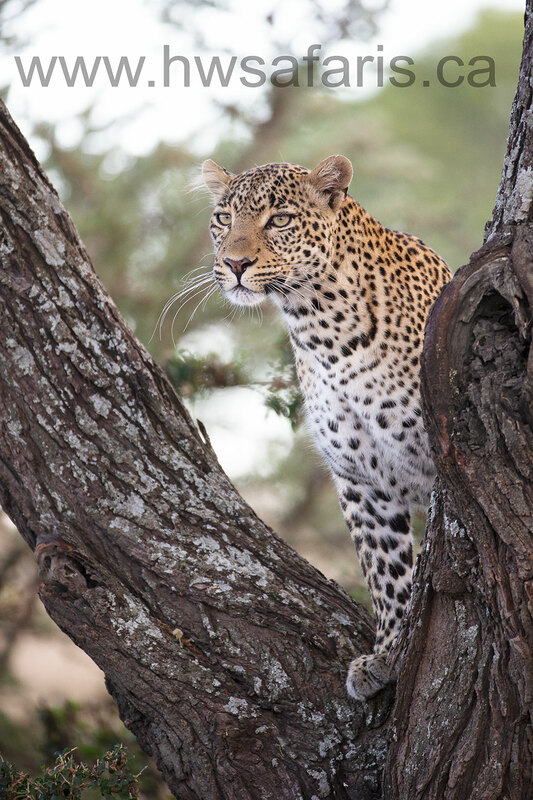 In the meantime, check out my wildlife photography website or images from my 2010, 2011 or 2012 trips. Day Seven, great light, active bears.